The unexpected is part of life. And, though a certain amount of vehicle wear and tear is expected from your daily travels, sometimes excessive amounts can happen. With XS Wear Lease Protection, you will be covered for damages beyond normal wear and tear when you turn in your Buick, Chevrolet lease vehicle. 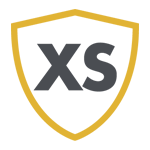 XS Wear Lease Protection is not available in NY or TX. Chevrolet XS Wear Lease Protection from CBGC Protection on Vimeo.